Home » Food and Nutrition » For the Love of Vitamin C! For the Love of Vitamin C! People put a lot of emphasis on obtaining this antioxidant, which explains why the food market is becoming flooded with vitamin C-rich foods. We all know that vitamin C is essential to the human body, but do we really know why? Why All the Hype about Vitamin C? Vitamin C is defined as a water-soluble nutrient that is incredibly beneficial for the body. It acts as an antioxidant to help defend cells from harm caused by free radicals. It can mainly be found in a variety of fruits and veggies, specifically oranges, lemons, grapefruit, broccoli, red peppers, and tomatoes—to name just a few!Our bodies require vitamin C because it plays an essential role in bone health, maintaining the firmness of our skin, and fortifying our blood vessel walls. Furthermore, consuming high volumes of vitamin C will aid with wound healing and with absorbing iron, which will give your body the boost it needs. When Did Vitamin C Become Available for Medicinal Purposes? Known as one of the major contributors to vitamin C research, Dr. Frederick R. Klenner is said to be the first individual to use vitamin C as a means to cure viruses.In 1948, Klenner published his first paper on the effects of consuming large doses of vitamin C—linking it to the treatment of viruses and diseases. In 1960, Klenner concluded that there was a direct link between the causes of death and the lack of vitamin C, which led him to believe that high doses of vitamin C are essential in treating and preventing certain diseases. Klenner also concluded that certain diseases can be treated or at least the pain could be reduced with proper diet supplements. 1. Treats colds: There is no cure for the common cold, but research has shown that vitamin C can prevent further complications relating to the cold. 2. Helps prevent strokes: In an American Journal of Clinical Nutrition study, researchers discovered that individuals who had high concentrations of vitamin C had a 42% lower risk of having a stroke, compared to those who had low levels of vitamin C.
3. Reduces stress: When we’re stressed, our immune systems become weak, which is one of the main reasons why our bodies need vitamin C. According to research, vitamin C can constrain the release of stress hormones and prevent these hormones from stifling the immune system’s response. 4. 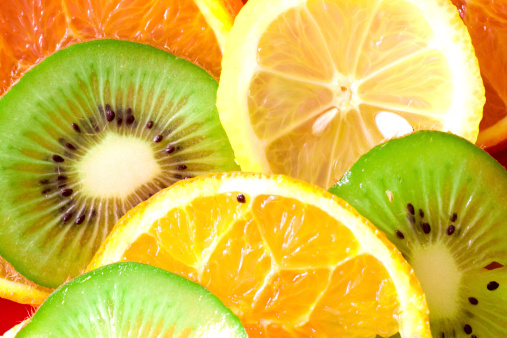 Treats aging skin: Vitamin C is one of the components that helps produce collagen in the body. Research has found that vitamin C in its natural form, when penetrated into the skin, can help reduce the appearance of wrinkles. 5. Peppers: One cup of peppers contains 133 mg of vitamin C, compared to one cup of orange juice, which contains 82 mg of vitamin C.
Our bodies depend on vitamin C to help with cell growth and functionality within the circulatory system, which eventually leads to our bodies being able to develop and maintain themselves; this is why a vitamin C deficiency needs to be caught early on. 1. Infections: If you are prone to injuries, such as gashes or cuts, and you have a vitamin C deficiency, your wounds could get infected a lot easier, as your immune system won’t be working at its optimal level. 2. Weight loss: A sudden drop in your weight could be a sign of malnourishment and a vitamin C deficiency. 3. Fatigue: Tiredness and loss of energy on a daily basis is a symptom of vitamin deficiency. 4. Mood change: If you are experiencing frequent mood swings (i.e. suddenly becoming short tempered), this may be another sign of a vitamin C deficiency. 5. Bruising: Excessive bruising is one sign that you are malnourished and may have a vitamin C deficiency. 6. Dry hair and skin: Your skin benefits the most from vitamin C; so if you experience severe dry skin, you may have a vitamin C deficiency. Infants who are not breastfed and are only fed cow’s milk have a higher risk of becoming vitamin C deficient, compared to infants who are not exposed to cow’s milk. The elderly have a higher risk of becoming vitamin C deficient, because their immune systems become weaker as they age. Low-income families unfortunately have a higher risk of becoming vitamin C deficient, because they may not be able to afford healthy foods that are rich in vitamin C.
Smoking consumes approximately 25 mg of vitamin C per cigarette. Chemicals from smoking destroy vitamin C, so smokers and those exposed to second-hand smoke usually have lower levels of vitamin C.
How Much Vitamin C Should You Be Getting Each Day? Wright, M., “Vitamin C Deficiency,” Patient.co.uk, October 16, 2012; http://www.patient.co.uk/doctor/vitamin-c-deficiency-pro. Zelman, M.K., “The Benefits of Vitamin C,” January 7, 2010, WebMD web site; http://www.webmd.com/diet/the-benefits-of-vitamin-c?page=1. “8 Symptoms of Vitamin C Deficiency,” FitDay web site; http://www.fitday.com/fitness-articles/nutrition/vitamins-minerals/8-symptoms-of-vitamin-c-deficiency.html#b, last accessed May 22, 2015. “15 foods rich in vitamin C,” Best Health Magazine web site; http://www.besthealthmag.ca/best-eats/nutrition/15-foods-rich-in-vitamin-c?slide=1#EWKv3s6SjKcJ0txP.97, last accessed May 22, 2015.